One Lucky Day: Graduation Time! I have a niece that is graduating from High School in a few weeks. We are having a family party for her and I thought it might be fun to make a decoration for each of the place settings at the table. 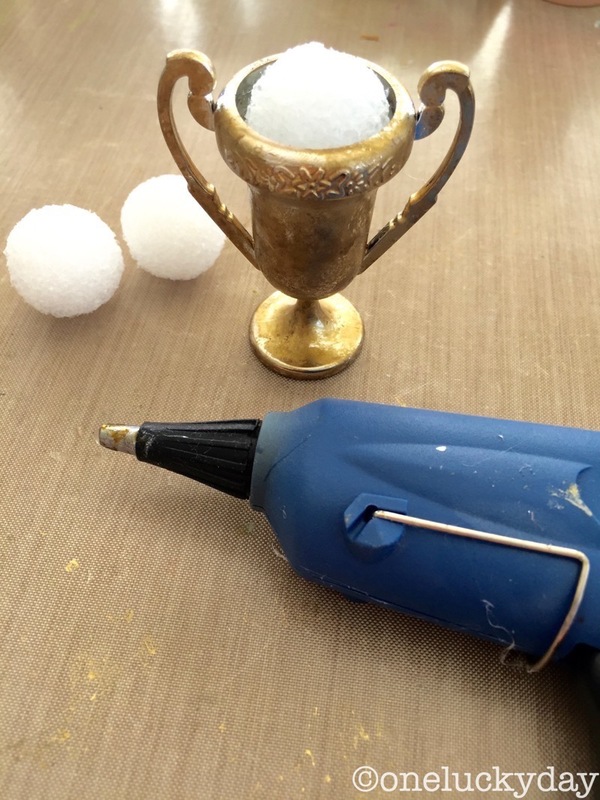 The idea-ology Trophy Cups are the perfect foundation for this project. There are 3 in a package for only $2.99 so the price is right! The Trophy Cups come in a shiny silver but her school colors are purple and gold so I decided to change it up. 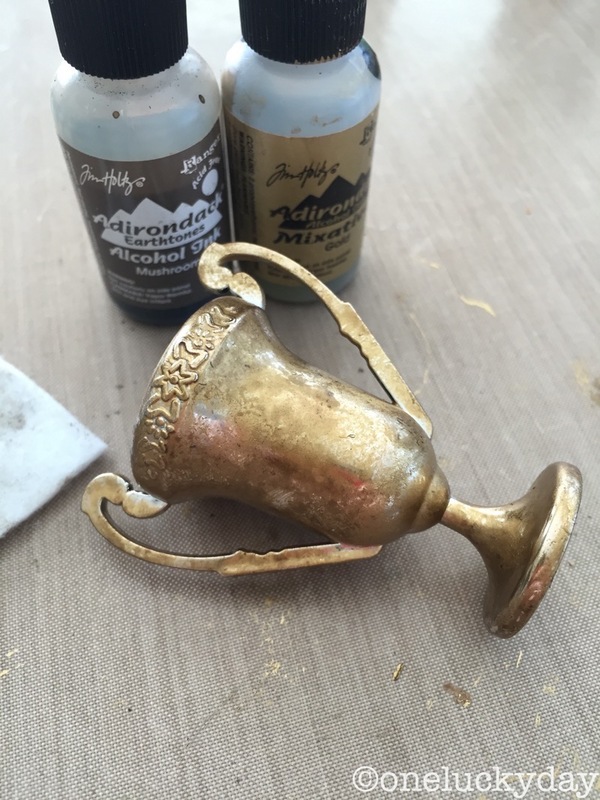 I'm using gold and mushroom alcohol ink to color the cups. If you needed these in bulk for a larger party I would just use spray paint. Why make it harder than it needs to be? Next, I used a hot glue gun to add a 1" Styrofoam ball to the cup. Using Glossy Accents, I added some reindeer moss (it never turns brown). You can find this in the floral section of any craft store. Since the school color is purple, I choose a couple different shades of Core'dinations Kraft Core to cut Sizzix Tiny Tattered Florals. 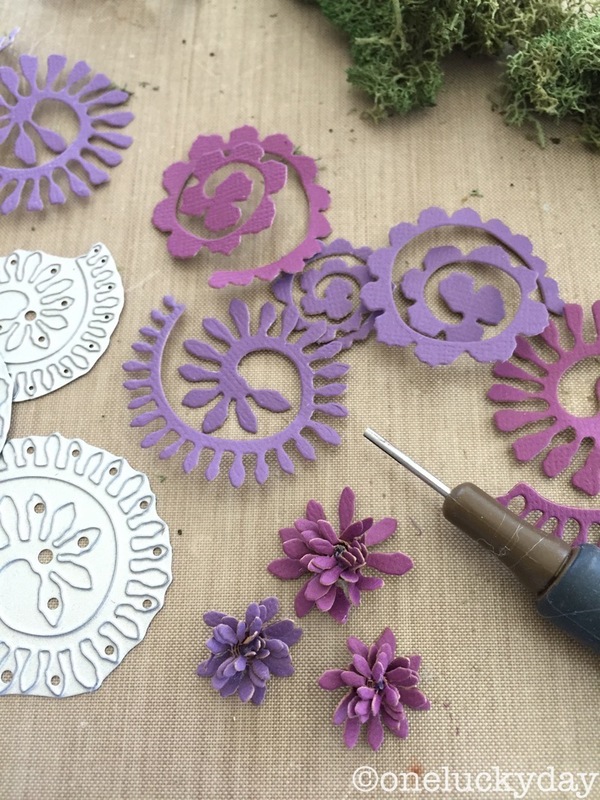 The quilling tool comes in the package so its super easy to roll them up to create the flowers. 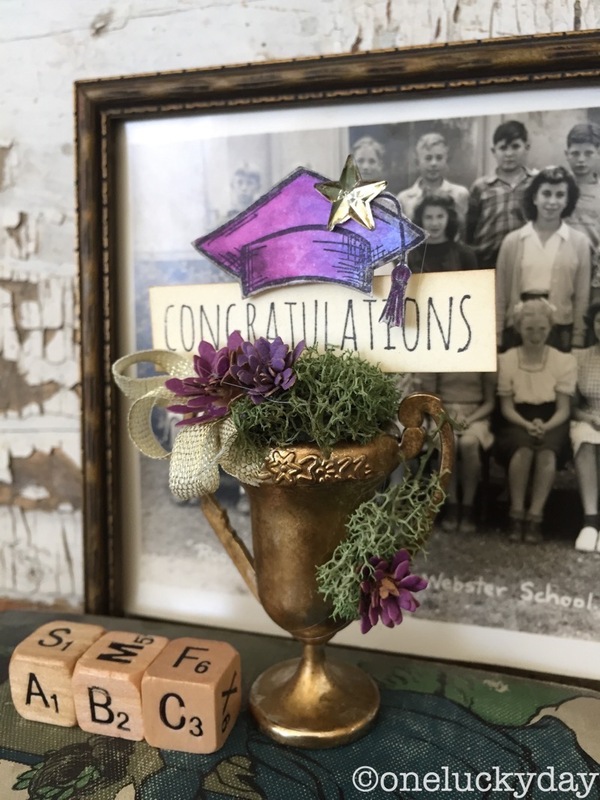 Next, I thought I need something that looks like graduation! There just happens to be a graduation hat as part of the Crazy Things stamp set. I used Archival ink to stamp the image onto Distress Watercolor cardstock. 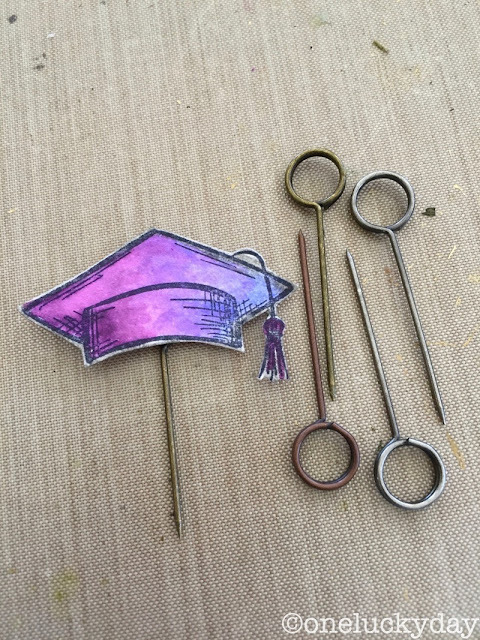 Again, sticking with the purple theme I grabbed a couple Distress Markers to color the images. I colored each hat with two colors, meeting in the middle. Then I used the Ranger Water Brush to blend the two colors together. My tip for blending is to make sure the colors meet (don't leave white space) and then blend. One color will flow onto the next and it will look marvelous. Kinda magic really. 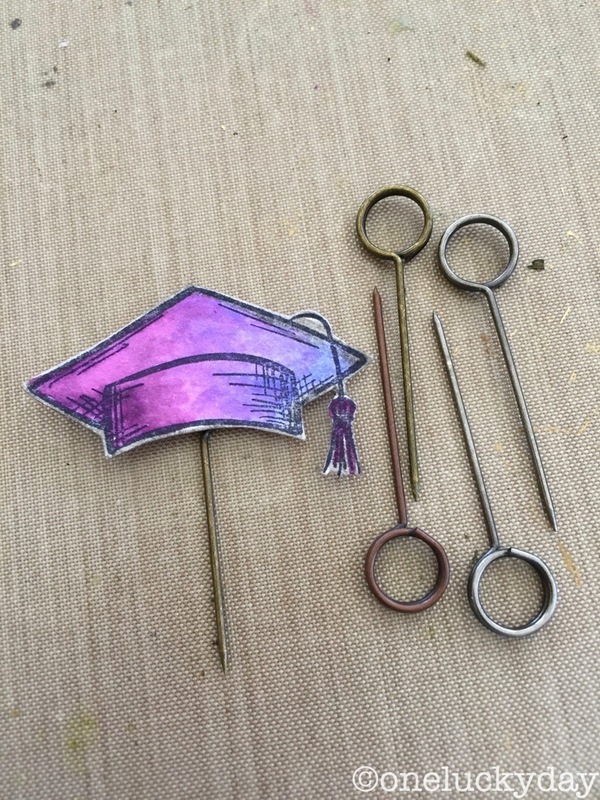 I cut out the hats and glued them to a Memo Pin. Then I stamped the word Congratulations from the Crazy Talk stamp set onto a piece of Mixed Media cardstock. 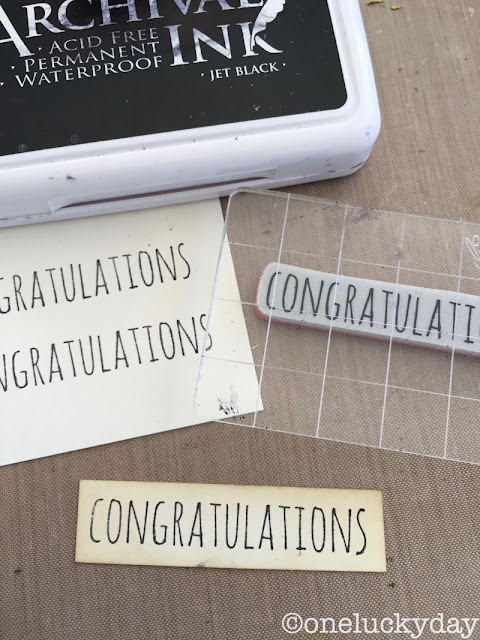 The Memo pin was stuck into the foam ball and then I slipped the Congratulation in between. 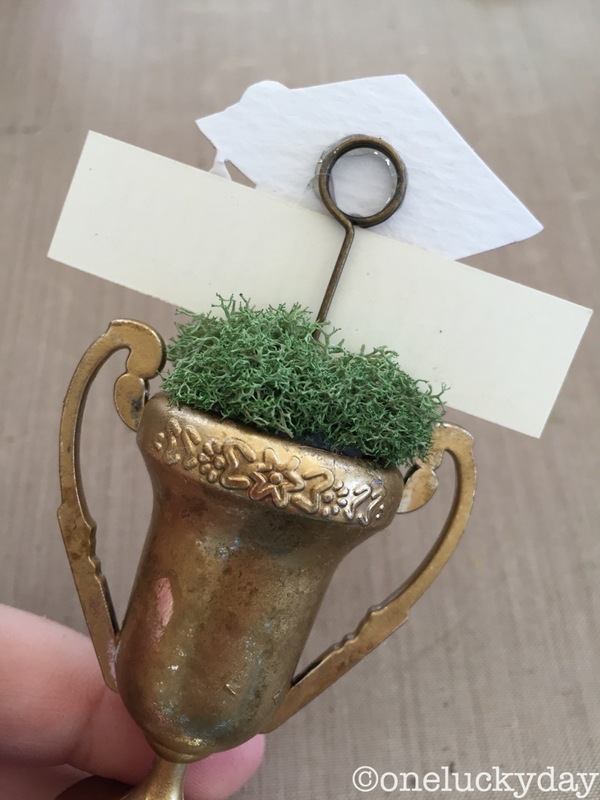 The moss and the bottom of the cap hold it in place quite securely. Here is what the back looks like. Just couldn't be simpler! 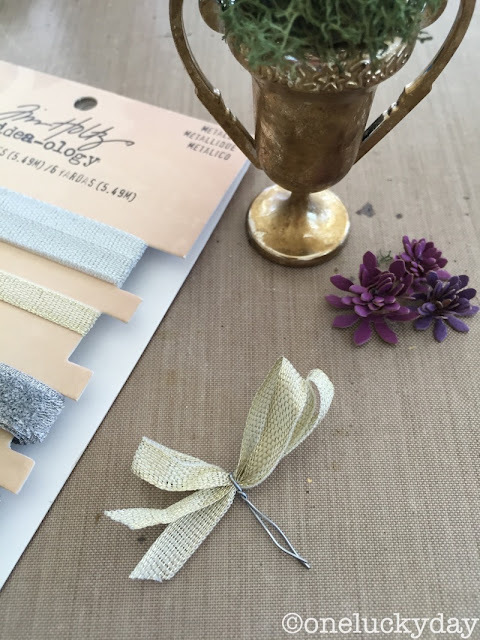 I needed a bow so I thought I would grab some thin gold ribbon, my favorite from the Metallic Trimmings pack to create one. 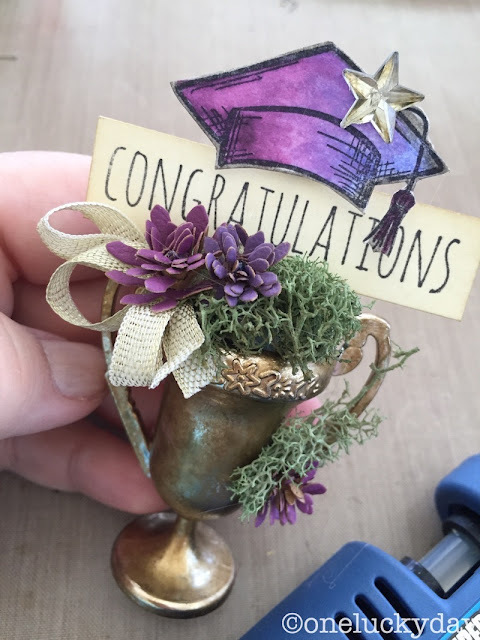 Stick the wire into the foam ball and add the Tiny Tattered Florals with hot glue. I did add a Mirrored Star to the top just to give it a little shine! And there you go! One down, 9 more the go! Of course if you were making as may as I am (or even more) it would be faster to do each step in the quantity needed and then assemble. 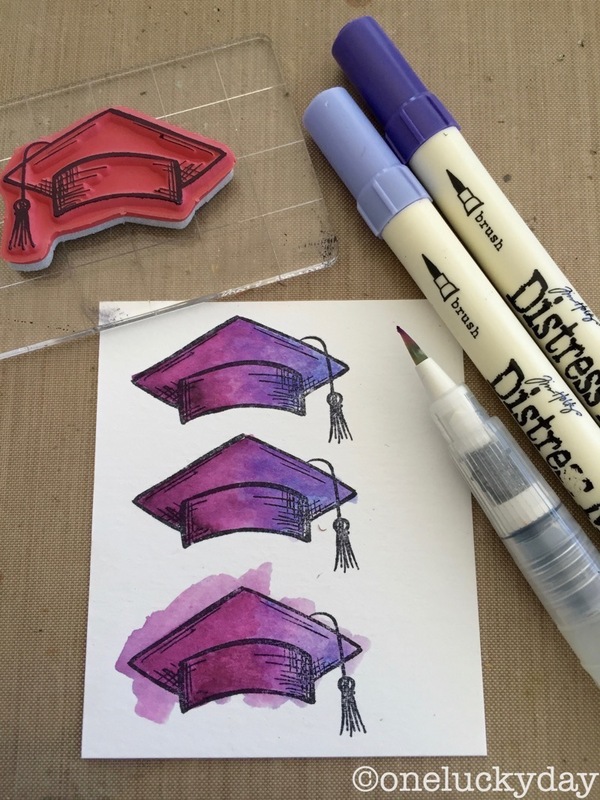 I love that the idea can be adapted for any school color...because really, cardstock and Distress Markers come in A LOT of colors! Hope the rest of your week is great! We are off to the 2016 Quilt Market Trade Show today to show off our new Eclectic Elements Fabric line - "Correspondence". I will be posting on Facebook and Instagram from the show (you can find me on Instagram under the name "luckyday") . Hope you can join me! 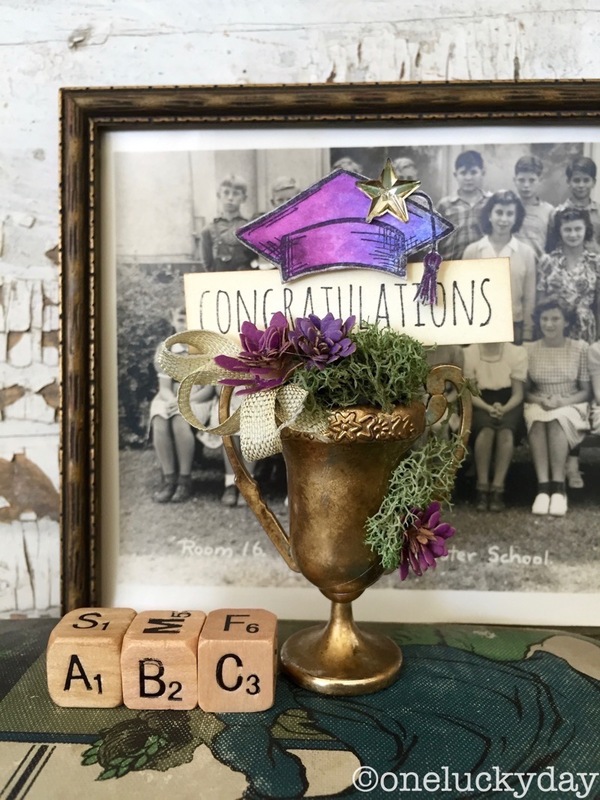 What a perfect project for your graduation party - love it! And it's so simple! I can't wait to get some Correspondence fabric. This is just Adorable! I love how you brought the moss and a flower down the side to one handle. Gives a wonderful casual look. Thank you for the how to and the photos. Now I need those trophy cups! I don't have a graduation coming up but I think you could give a trophy for many occasions. I love it Paula. 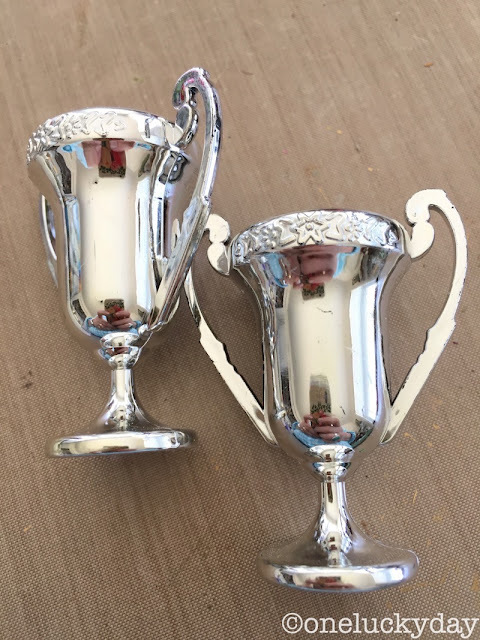 You know what would make the trophy cups more versatile.....a flat back! A charming, thoughtful memento that's sure to become a cherished keepsake! 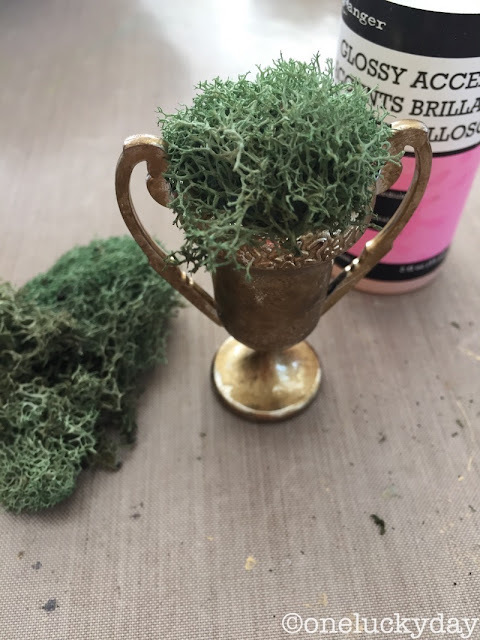 The finish on the trophy--perfection, thanks for the tip on the reindeer moss (really good to know), love the purple (my school colors were green and gold, blah!) and the star makes the magic. Best photo ever of the finished piece on Instagram! Too sweet! Love all of it! Another fabulous project! 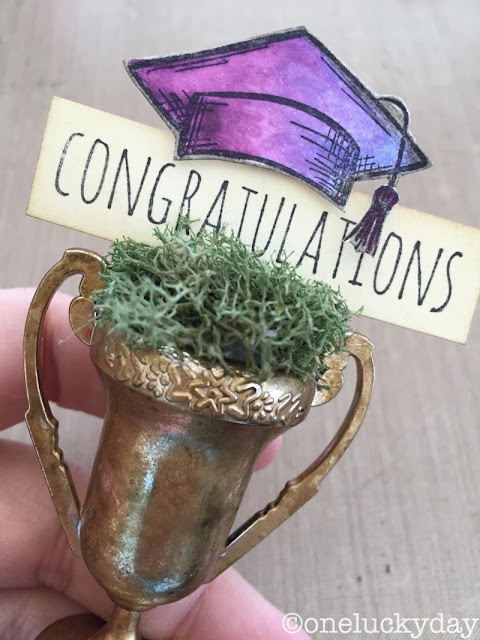 Congrats to your Niece on her graduation! These tropies are so cute. They would be cool as a cake topper, too. Thanks so much for the ideas and instructions.